When Tara Met Blog: A Dove Visibly Smooth Girls Night Out! 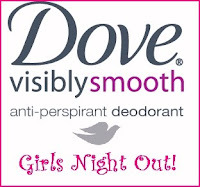 A Dove Visibly Smooth Girls Night Out! 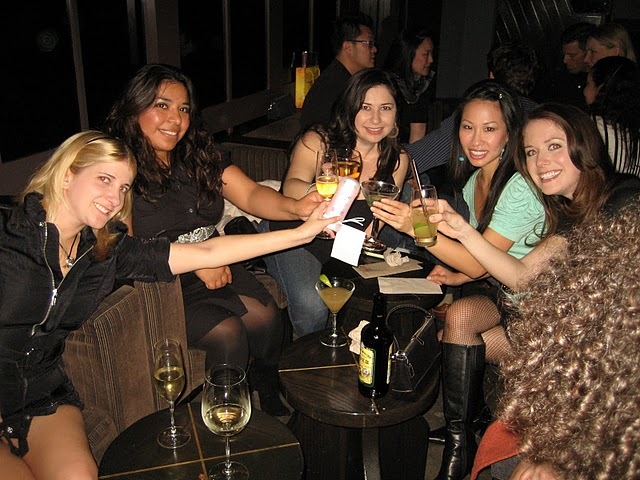 Dove, who's cucumber & green tea deodorant I use daily, allowed 10 of my girlfriends and I to go on a fabulous night out in L.A., which included the use of a limo to take us wherever. 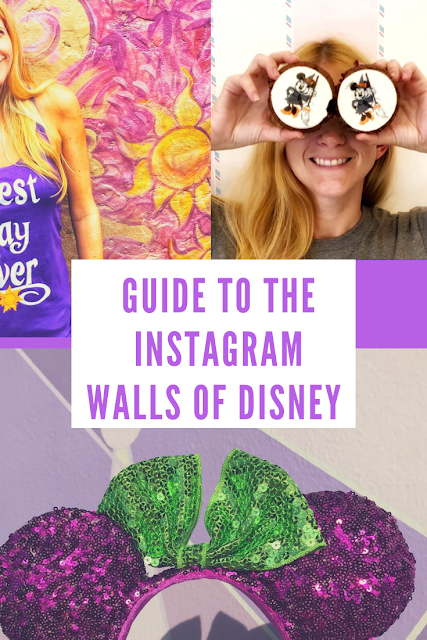 We started off at my place where we tried out Dove's Wild Rose Visibly Smooth deodorant, which helps minimizes the look and feel of underarm hair over time. 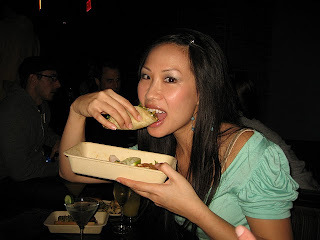 We then carpooled to Alibi Room for their famous Kogi Korean BBQ. Their short rib tacos and sliders were amazing and actually pretty affordable. It's not unusual to see a limousine outside of this small hipster bar, in fact, it's unusual if you do NOT see one, however, this time it wasn't there waiting for some celeb or millionaire, but for my fabulous group of gals. What up! The stretch limousine transported us to the SLS Hotel in Beverly Hills, home of the famous Bazaar restaurant, where we imbibed in $16 cocktails at Bar Centro. The bartender, Robert, kindly mixed up a slew of drinks for us including a refreshing Bellini with fresh peach juice, sparkling wine and a tiny Japanese peach at the bottom. 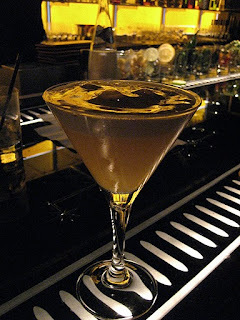 I also sipped my friend's frothy Passion Fruit Martini, which was like a dessert. Prior to returning to the Alibi Room before our chariot turned into a pumpkin, we briefly stopped at Rush Street in Culver City. Our group of women luckily had no problem getting in upstairs to their nightclub. When all was said and done I learned two things last night: carrying around deodorant at bars is a surprisingly fun attention-getter, lol. Also, I'm not rebounding as quick as I used to the next day--this ole mare ain't what she used to be. DISCLOSURE: To participate in the Dove Visibly Smooth VIP program, I was provided with eleven (11) product samples for my guests and I, car service and compensation for dinner out with my friends. Dove provided me with these items so I could organize the event myself and without any influence from Dove. You seem to be having a visibly good time in those shots. Great post! What a great night out! Thanks Tara and Dove! This was so much fun. I also, have been an avid fan of Dove for quite some time... 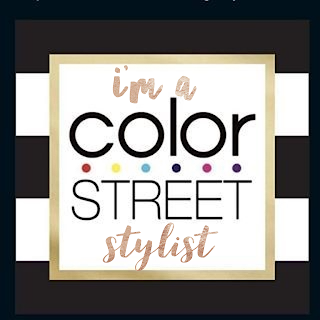 I use their deoderant and their body wash. I'm so excited to try the new sample they gave us, which slows down the growth of your arm pit hair. Someone at Dove is going to be my new hero if this works. Thanks Dove!